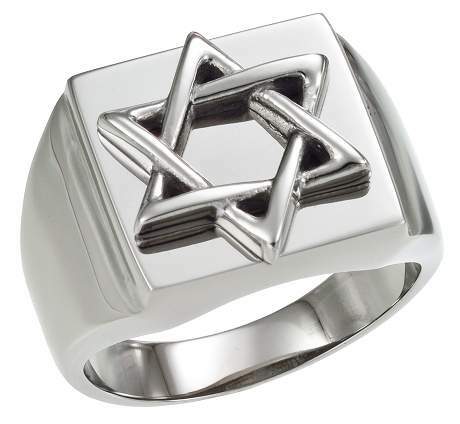 A 316L stainless steel ring featuring the Star of David raised above a flat square polished surface. 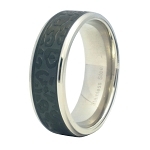 The face of the ring is 17 mm wide with a tapered band. 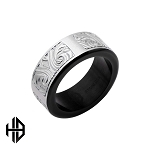 This is a stunning and dramatic ring. This is a really nice ring. it is a decent size for someone like me who has a wide hand yet short fingers. It is a great statement of faith piece for fellow Jews. I highly recommend this ring.